The airline announced three new routes from Cluj-Napoca and Bucharest commencing in March and May 2016, respectively. The new route from Cluj-Napoca to Munich Memmingen will start on 28 March 2016 and will be operated with two weekly flights, on Mondays and Fridays. The new Bucharest service to Hamburg Lubeck will commence on 20 May with two weekly flights on Mondays and Fridays, while the route from Bucharest to Glasgow will start on 21 May and will be operated on Tuesdays and Saturdays. 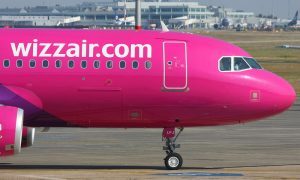 Wizz Air also announced frequency increases on some of its existing Romanian routes, such as from Bucharest and Timisoara to London Luton or Cluj-Napoca to Nuremberg, as well as several others. 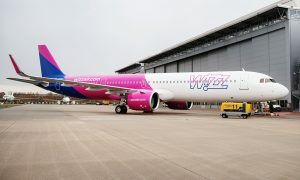 Wizz Air’s Romanian network will also benefit from the airline’s new Airbus A321s bringing additional capacity thanks to the aircraft’s larger size and 230 seats. 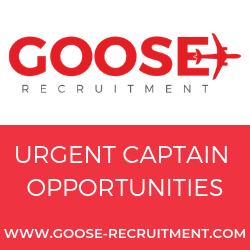 During the 2016 summer peak season, the Bucharest base fleet will consist of four A320 and four A321 aircraft that will be deployed on the most popular Bucharest services such as for example to London Luton, Brussels Charleroi, Rome Ciampino and Madrid. With this expansion, Wizz Air’s Romanian route network now consists of a total of 95 routes to 15 different countries from eight Romanian airports. 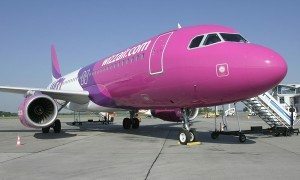 Tamara Mshvenieradze, Corporate Communications Manager at Wizz Air said: “Wizz Air is pleased to present its Romanian summer 2016 schedule, as well as announce three exciting new routes from Romania. We hope that the new Bucharest services to Glasgow and Hamburg will be welcomed by our Romanian consumers and strengthen tourism and business relations between the three countries, while our service from Cluj-Napoca to Munich Memmingen will become a popular destination among our Transylvanian consumers. With two weekly flights and a convenient schedule the routes are ideal for a weekend city break or a business trip.